Sanofi S.A. is a French multinational pharmaceutical company headquartered in Gentilly, France, as of 2013 the world's fifth-largest by prescription sales. The company was formed as Sanofi-Aventis in 2004 by the merger of Aventis and Sanofi-Synthélabo, which were each the product of several previous mergers. It changed its name to Sanofi in May 2011. The company is a component of the Euro Stoxx 50 stock market index. Sanofi engages in the research and development, manufacturing and marketing of pharmaceutical drugs principally in the prescription market, but the firm also develops over-the-counter medication. The company covers seven major therapeutic areas: cardiovascular, central nervous system, diabetes, internal medicine, oncology, thrombosis and vaccines (it is the world's largest producer of the latter through its subsidiary Sanofi Pasteur). Synthélabo was founded in 1970 through the merger of two French pharmaceutical laboratories, Laboratoires Dausse (founded in 1834) and Laboratoires Robert & Carrière (founded in 1899). In 1973, the French cosmetics group L’Oréal acquired the majority of its share capital. :19 In 1991, Synthelabo acquired Laboratories Delalande and Laboratoires Delagrange, and through this deal picked up the product metoclopramide[. At the time of the merger, Rhône-Poulenc's business included the pharmaceutical businesses Rorer, Centeon (blood products), and Pasteur Merieux (vaccines), the plant and animal health businesses Rhône-Poulenc Agro, Rhône-Poulenc Animal Nutrition, and Merial, and a 67 percent share in Rhodia, a speciality chemicals company. :10 Hoechst had seven primary businesses: Hoechst Marion Roussel (pharmaceuticals), AgrEvo (a joint venture with Schering in crop protection agents and pest control products), HR Vet (veterinary products), Dade Behring (diagnostics), Centeon, Celanese (chemicals), and Messer (chemicals). :9 Merieux has been in the business of selling blood products, and In the 1980s during the AIDS epidemic, Merieux and other companies were involved in scandals related to HIV-contaminated haemophilia blood products that were sold to developing nations. In mid 2000 Aventis and Millennium Pharmaceuticals, a US biotechnology company formed to discover new drugs based on the then-new science of genomics, announced that Aventis would make a $250M investment in Millennium and would pay $200M to Millennium in research fees over five years, one of the largest such deals between a big pharmaceutical company and a biotech company at the time. In late 2000, in the midst of the recall of Starlink, its genetically modified maize product, Aventis announced that it had determined to sell off Aventis Cropscience, the seed and pesticide business unit it had created from the agriculture businesses of its predecessors. In October 2001, Bayer and Aventis announced that Bayer would acquire the unit for about $6.6 billion, with the unit becoming Bayer CropScience and making Bayer the world's second-largest agrochemical company behind Syngenta. In 2003 Aventis entered into a collaboration with Regeneron, a New York biotechnology company, to develop Regeneron's VEGF-inhibiting drug, aflibercept, in the field of cancer, which was then in Phase I clinical trials. Aventis invested $45 million in Regeneron and made an upfront payment of $80 million in cash. Regeneron partnered the drug with Bayer Healthcare in the field of proliferative eye diseases, and under the name Eylea it was approved by the FDA in 2011; after several setbacks in clinical trials, Regeneron and Sanofi got the drug approved in metastatic colorectal cancer in combination with other agents, under the brand name ZALTRAP in 2012. Sanofi-Aventis was formed in 2004 when Sanofi-Synthélabo acquired Aventis. In early 2004, Sanofi-Synthélabo made a hostile takeover bid worth €47.8 billion for Aventis. Initially, Aventis rejected the bid because it felt that the bid offered inferior value based on the company's share value, and the board of Aventis went so far as to enact poison pill provisions and to invite Novartis to enter merger negotiations. The three-month takeover battle concluded when Sanofi-Synthélabo launched a friendly bid of €54.5 billion in place of the previously rejected hostile bid. The French government played a strong role, desiring what it called a "local solution", by putting heavy pressure on Sanofi-Synthélabo to raise its bid for Aventis and for Aventis to accept the offer and by rejecting Aventis' poison pill proposal. One of the largest risks in the deal for both sides, was the fate of the patents protecting Clopidogrel (Plavix) which was one of the top-selling drugs in the world at the time and the major source of Sanofi's revenue. In 2006, Iraqis infected with HIV sued Sanofi and Baxter due to HIV-contaminated haemophilia blood products sold by Merieux in the 1980s. In 2006 the US patents on clopidogrel (Plavix) were challenged when a Canadian generics company, Apotex, filed an Abbreviated New Drug Application under the Hatch-Waxman Act, received FDA approval, and started marketing a generic clopidogrel. While Sanofi-Aventis and its partner on the drug, Bristol Myers Squibb (BMS), were able to get an injunction to stop Apotex from selling the drug, the case became complicated when settlement negotiations fell apart twice - the second time due to an oral agreement made by BMS CEO Peter Dolan that BMS failed to disclose to the Federal Trade Commission during the review of the settlement agreement to ensure that it did not violate antitrust law. When Apotex disclosed the oral agreement to the FTC, the FTC launched an investigation that led to Dolan being fired by BMS. Apotex finally lost on the patent litigation issues after its third appeal was decided in favor of BMS/Sanofi in November 2011; Apotex had to pay ~$442 million in damages and ~$108 million in interest for infringing the patent, which it paid in full by February 2012. Apotex also sued BMS and Sanofi for $3.4 billion for allegedly breaching the settlement agreement, and Apotex lost a jury trial in March 2013. In 2007 Sanofi-Aventis expanded on Aventis' prior relationship with Regeneron; in the new deal Sanofi-Aventis agreed to pay Regeneron $100 million each year for five years, under which Regeneron would use its monoclonal antibody discovery platform to create new biopharmaceuticals, which Sanofi-Aventis gained the exclusive right to co-develop. In 2009 the companies expanded the deal to $160 million per year and extended it through 2017. As of 2009 the collaboration had four antibodies in clinical development and had filed an IND for a fifth. Two were against undisclosed targets, one targeted the interleukin-6 receptor as a treatment for rheumatoid arthritis, another targeted nerve growth factor for the treatment of pain, and another targeted delta-like ligand 4 as a treatment of cancer. In 2009, for about $635 million, Medley Farma, the third largest pharmaceutical company in Brazil and a leading generics company in that country; Sanofi outbid Teva Pharmaceuticals. The deal was approved by Brazil's antitrust authorities in May 2010. In 2010, for around $1.9 billion, Chattem, Inc., a U.S. consumer healthcare company with products such as Selsun Blue dandruff shampoo, Cortizone-10, Gold Bond skin care products and Icy Hot pain medicine. In 2010, for around $130 million, Nepentes Pharma, a Polish dermocosmetics company. In 2010, for around $520.6 million in cash, BMP Sunstone Corporation a leading Chinese pharmaceutical company focused on consumer health-care products (e.g., maker of China's Hao Wa Wa, China’s top pediatric cold brand). In 2011, for around $20.1 billion, Genzyme Corporation, a biotechnology company headquartered in Cambridge, Massachusetts and specialized in the treatment of orphan diseases, renal diseases, endocrinology, oncology and biosurgery. In October 2009 Sanofi-Aventis announced that it would lay off about 1,700 US employees (about 25% of its US workforce) due to restructuring triggered by growing generic competition and other factors, and that the company would focus its US operations on diabetes, atrial fibrillation and oncology. In June 2016, the company announced it had struck an asset-swap deal with Boehringer Ingelheim, Sanofi would sell its Merial animal health division (valuing it at €11.4 billion), whilst acquiring Boehringers consumer health division (valuing it at €6.7 billion) and €4.7 billion in cash. The deal means Sanofi is now one of the global consumer healthcare leaders by market share. The company dropped the -Aventis suffix of its name on 6 May 2011 after receiving approval at its annual general meeting. The reason given by the company for the change was to make its name easier to pronounce in countries such as China. In January 2012, Sanofi co-invested in the $125 million Series A financing of Warp Drive Bio. Sanofi sought support for its internal cancer research program and also took on an obligation to acquire Warp Drive if certain milestones were met. In January 2014, Genzyme and Alnylam Pharmaceuticals, a US biotechnology company developing RNAi therapeutics, announced that Genyzme would invest $700 million in Alnylam. Under the deal, Genzyme obtained further rights to patisiran, an RNAi treatment for transthyretin-mediated amyloidosis - a condition that can result in familial amyloidotic polyneuropathy and familial amyloidotic cardiomyopathy, and obtained rights to other compounds in Alnylam's pipeline. In March 2014 Sanofi joined the bidding for Merck & Co.’s over-the-counter health-products unit, the maker of Coppertone sunblock and Claritin allergy medicine; bids were expected to range between $10 billion and $12 billion. In October 2014, Sanofi's directors fired US-resident chief executive Chris Viehbacher, blaming his alleged lack of communication with the board and poor execution of his strategy. Board chairperson Serge Weinberg took over as interim CEO until 2 April 2015 when Bayer Healthcare board chairperson Olivier Brandicourt (appointed by Sanofi on 19 February 2015) took over. Before Brandicourt even started his new job, French government ministers Stéphane Le Foll and Ségolène Royal attacked the $4.5 million golden handshake he was getting from Sanofi - and his pay of about $4.7 million a year. In July 2015, Genzyme announced it would acquire the rare cancer drug Caprelsa (vandetanib) from AstraZeneca for up to $300 million. In the same month In July 2015, the company announced a new global collaboration with Regeneron to discover, develop, and commercialise new immuno-oncology drugs, which could generate more than $2 billion for Regeneron, with $640 million upfront, $750 million for proof of concept data and $650 million from the development of REGN2810. Epinephrine autoinjector (Auvi-Q in the US and Allerject in Canada), licensed from Intelliject and approved by the FDA in 2012 for emergency treatment of life-threatening allergic reactions. Teriflunomide (Aubagio), small molecule for multiple sclerosis. Approved by the FDA in September 2012. Product Recall and Effects: The Epinephrine auto-injection devices made by Sanofi SA currently on the market in the U.S. and Canada were voluntarily recalled on October 28, 2015. The reason stated by Sanofi was that the products have been found to potentially have inaccurate dosage delivery, which may include failure to deliver drug. Sanofi US also added the following warning: If a patient experiencing a serious allergic reaction (i.e., anaphylaxis) did not receive the intended dose, there could be significant health consequences, including death because anaphylaxis is a potentially life‑threatening condition. In its news Release on October 28, 2015, Sanofi Canada stated that it was "actively working with suppliers of alternative epinephrine auto-injectors to have a full stock available in Canada as soon as possible. Canadian customers were asked to immediately return the Allerject product to their local pharmacy to obtain an alternate epinephrine auto-injector." The U.S. Food and Drug Administration also filed a news release confirming that the recall involves all Auvi-Q currently on the market in the U.S. The FDA release went on to provide information for consumers re: exchanging the device for another brand of product, also provided on the Auivi-Q web site. Sanofi US will provide reimbursement for out of pocket costs incurred for the purchase of new, alternate epinephrine auto-injectors with proof of purchase. The alternate products expected to most commonly replace the recalled Sanofi devices are the EpiPens made by Mylan in the US and by Pfizer—under license from Mylan—in Canada. Mylan already had an 85% market share of the auto-injectors in the US in the first half of 2015. Maylan is expected to benefit from the recall by its competitor Sanofi, according to a report published in the Fierce Pharma newsletter of November 2, 2015: ".... it is very hard to see Auvi-Q returning to the market, as it will need to be redesigned and face uphill battle to recapture patient trust after the recall," Bernstein analyst Ronny Gal wrote in a note to clients on Monday. Gal also believes that the company will eventually have 95% of the Epinephrine auto-injector market, according to another Fierce Pharma report on November 3, 2015. Mipomersen (Kynamro), an antisense drug invented by Isis Pharmaceuticals and acquired by Genzyme in 2008 (pre-Sanofi) and approved by the FDA in 2013 for the orphan disease, homozygous familial hypercholesterolemia. antibiotics: Cefotaxime (Claforan); Rifapentine (Priftin); Tavanic (Levofloxacin). Plerixafor (Mozobil) macrocycle approved by the FDA for peripheral blood stem cell mobilizer for non-Hodgkins lymphoma and multiple myeloma in December 2008. Aflibercept (ZALTRAP) recombinant fusion protein, approved in metastatic colorectal cancer in combination with other agents in 2012. The company also produces a broad range of over-the-counter products, among them Allegra, IcyHot for muscle pain, Gold Bond for skin irritation, and Selsun Blue dandruff shampoo (these brands were acquired in 2010 when Sanofi-Aventis purchased Chattem). As of the summer of 2013, Sanofi was in a race with Amgen and Pfizer to win approval for a drug that inhibits PCSK9, a protein that slows the clearance of low-density lipoprotein (LDL) cholesterol - the form of cholesterol that leads to heart attacks. Sanofi's drug was discovered by Regeneron and is called alirocumab. An FDA warning in March 2014 about possible cognitive adverse effects of PCSK9 inhibition threw the competition into disarray, as the FDA asked companies to include neurocognitive testing into their Phase III clinical trials. In fall 2013 Sanofi announced that another candidate from its collaboration with Regeneron, the monoclonal antibody against the interleukin 6 receptor, sarilumab, had better efficacy than placebo in its first Phase III trial for rheumatoid arthritis. Jean-François Dehecq was the General Manager of Sanofi from its creation in 1973 until 2007. Head office 54 rue de la Boétie, Paris 8th around. Former head office 174 avenue de France, Paris 13th around. 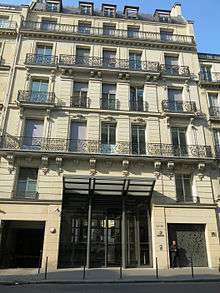 In January 2012, Sanofi moved its head office location to 54, Rue La Boétie in the 8th arrondissement of Paris. This former mansion designed by architect René-Patouillard had previously been the head office of Alcatel-Lucent. Sanofi's previous head office was located in the 13th arrondissement of Paris, 174 Avenue de France. 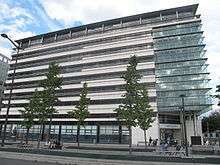 The architecture of the head office is of the predominant style of the area surrounding the François Mitterrand Library. After Sanofi and Aventis merged, the employees at the former Aventis head office in Schiltigheim, Alsace moved to Paris. In June 2015, the seat was moved to Gentilly, just south of Paris. In addition to internal research and development activities Sanofi is also involved in publicly funded collaborative research projects, with other industrial and academic partners. One example in the area of non-clinical safety assessment is the InnoMed PredTox project The company is expanding its activities in joint research projects within the framework of the Innovative Medicines Initiative of EFPIA and the European Commission. In June 2010, Sanofi and the Charite University of Berlin signed a cooperation agreement for the research and development of medicines and therapies. On 25 October 2012, Sanofi said its earnings for the third quarter slumped as generic competitors ate into profits of its Eloxatin cancer treatment. In 2005 Sanofi pasteur, vaccines division of Sanofi Group, was awarded a $97 Million HHS contract in 2005. In the fall of 2011 the Sanofi Pasteur plant flooded causing problems with mold. The facility, located in Toronto, Ontario, Canada, produced BCG vaccine products, made with the Glaxo 1077 strain, such as a tuberculosis vaccine ImmuCYST, a BCG Immunotherapeutic -a bladder cancer drug. By April 2012 the FDA had found dozens of documented problems with sterility at the plant including mold, nesting birds and rusted electrical conduits. The resulting closure of the plant for over two years resulting in shortages of bladder cancer and tuberculosis vaccines. The Toronto Sanofi plant On October 29, 2014 Health Canada gave the permission for Sanofi to resume production of BCG. Sanofi is a full member of the European Federation of Pharmaceutical Industries and Associations (EFPIA), Biotechnology Industry Organization (BIO), and Pharmaceutical Research and Manufacturers of America (PhRMA). Sanofi's vaccine subsidiary, Sanofi Pasteur, is a member of EuropaBio. The Aventis Foundation, a German charitable trust, was established in 1996 as the Hoechst Foundation with an endowment of €50 million. In 2000, the foundation was renamed the Aventis Foundation. Its aim is to promote music, theater, art, literature, higher education and healthcare research. ↑ Total reduced its stake to less than 5% in 2011. 1 2 3 "Annual Report 2014" (PDF). Sanofi-Aventis. Retrieved 9 Sep 2015. 1 2 3 4 "Annual Report 2013" (PDF). Sanofi-Aventis. Retrieved 13 April 2014. ↑ "Sanofi-Aventis to sign deal to build flu vaccine plant in China - source". AFX News. Forbes. 23 November 2007. Retrieved 2009-04-19. ↑ "Le fondateur de Sanofi est mort". lexpress.fr. Retrieved 4 June 2015. ↑ Meier, Barry (1996-06-11). "Blood, Money and AIDS: Haemophiliacs Are Split; Liability Cases Bogged Down in Disputes". The New York Times. ↑ Gever, John (19 November 2011). "FDA Approves Eylea for Macular Degeneration". MedpageToday.com. Retrieved 2013-10-16. 1 2 "Ziv-Aflibercept". FDA Drug Approvals Database. Food and Drug Administration. 3 August 2012. Retrieved 2013-10-16. ↑ "Sanofi snaps up India's Shantha for $784M". FierceBiotech. ↑ "Aiming for top dog status, Sanofi and Boehringer swap animal and consumer health units - FiercePharma". ↑ Mennella, Noelle (6 May 2011). "Sanofi changes name, pace of acquisitions to slow". Reuters. Retrieved 7 May 2011. ↑ French drugmaker Sanofi sacks CEO, shares drop, Natalie Huet and Noëlle Mennella, Reuters news agency, New York 29 October 2014.Retrieved: 6 July 2015. ↑ Sanofi : Sanofi Appoints Olivier Brandicourt as Chief Executive Officer, Sanofi corporate website, 19 February 2015.Retrieved: 6 July 2015. ↑ French Government Slams Sanofi Over Brandicourt Pay Package, The Wall Street Journal, 24 February 2015].Retrieved: 6 July 2015. ↑ "Genzyme to Buy Caprelsa from AstraZeneca for Up to $300M - GEN News Highlights - GEN". ↑ "Regeneron, Sanofi Launch $2B+ Immuno-Oncology Collaboration - GEN News Highlights - GEN". ↑ "UPDATED: Struggling Sanofi paying $1.8B to partner with Regeneron on immuno-oncology - FierceBiotech". ↑ "FDA approves new multiple sclerosis treatment Aubagio" (Press release). US FDA. Retrieved 2012-09-14. ↑ "All Allerject epinephrine auto-injectors recalled". 1 2 "Auvi-Q® (epinephrine injection, USP)". ↑ "Sanofi Canada Issues Voluntary Nationwide Recall of Allerject® Due to Potential Inaccurate Dosage". ↑ "Welcome to EpiPen® 101". ↑ Reprints, Cynthia Koons CynthiaLKoons Robert Langreth RobertLangreth. "How Marketing Turned the EpiPen Into a Billion-Dollar Business". ↑ "Sanofi's Auvi-Q recall puts Mylan's rival EpiPen in full control of blockbuster market - FiercePharma". ↑ "It's open season for Mylan's EpiPen as Sanofi, Teva stumble - FiercePharma". ↑ "Annual Review 2008" (PDF). Sanofi-Aventis. Retrieved 2009-04-19. ↑ "Mozobil approved for non-Hodgkin's lymphoma and multiple myeloma" (Press release). Monthly Prescribing Reference. 18 December 2008. Retrieved 3 January 2009. ↑ Alirocumab on Regeneron's website Archived 16 April 2012 at the Wayback Machine. ↑ "Sanofi-Aventis : regroupement à Paris." Le Journal du Net. Retrieved on 28 September 2010. ↑ Mattes, William B. (2008). "Public Consortium Efforts in Toxicogenomics". In Mendrick, Donna L.; Mattes, William B. Essential Concepts in Toxicogenomics. Methods in Molecular Biology. 460. pp. 221–238. doi:10.1007/978-1-60327-048-9_11. ISBN 978-1-58829-638-2. PMID 18449490. ↑ "InnoMed PredTox Member Organizations". Archived from the original on 26 September 2008. Retrieved 2008-08-25. ↑ Innovative Medicines Initiative. "IMI Call Topics 2008". IMI-GB-018v2-24042008-CallTopics.pdf. European Commission. Retrieved 2008-08-25. ↑ Sanofi-aventis, Charite University Sign Cooperation Agreement News article from InfoGrok. ↑ "Sanofi Earns Slump in Q3 as Competition Heats Up". The New York Times. 25 October 2012. ↑ "Sanofi pasteur Awarded $97 Million HHS Contract to Accelerate Cell-Culture Pandemic Influenza Vaccine Development". 4 January 2005. Retrieved 12 June 2013. ↑ Fine, P.E.M (2004). Issues relating to the use of BCG in immunization programmes: A discussion document, WHO/V&B/99.23 (PDF). Geneva: WHO. ↑ "The Pharmaceutical Industry in Figures - 2008 Edition". 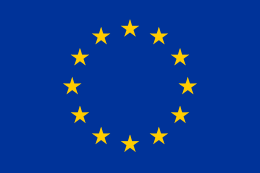 European Federation of Pharmaceutical Industries and Associations (EFPIA). p. 49. Retrieved 2008-08-25. ↑ Home. Aventis Foundation (2013-11-27). Retrieved on 2013-12-23. Wikimedia Commons has media related to Sanofi.